Ever wondered what you could do about users who visit your page but never complete a purchase? With remarketing you can target the most relevant users who visit your website and persuade them to complete their customer journey. 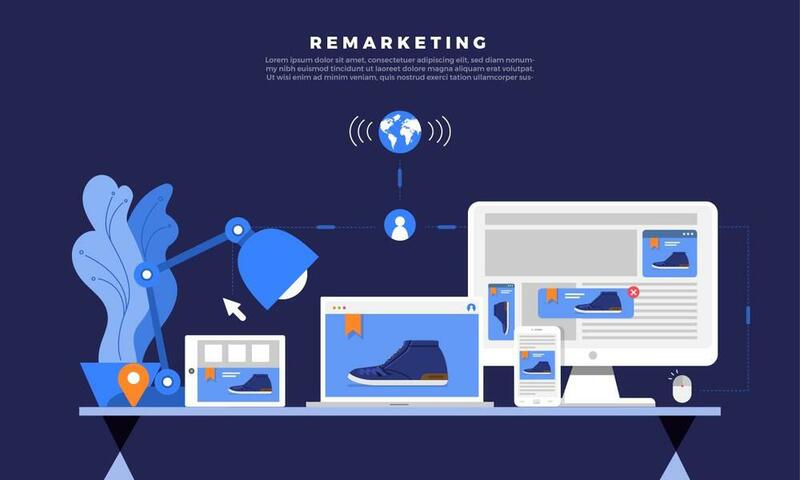 Several believe that remarketing is that useful after all and their current marketing strategies are working just fine. But truth be told, remarketing has several benefits and can actually help you save costs too! Many marketers fail to take into account the time lag between when the customer initially interacts with your brand to when they actually convert and decide to purchase a product or service you are offering. However, this varies from industry to industry and what you are willing to offer to the consumer. A Google Analytics Tip: Under conversions, there is an option for Time Lag which contains a report illustrating when users typically convert after their first interaction which will allow you to plan your remarketing in an efficient and meaningful manner. A way to connect with users is by creating a sequenced display remarketing campaign that takes them through their research journey. Grabbing their attention with different creatives while getting the right message across will assist them to come to a decision (typically in your favour). *Most times, the further the remarketing advertisement is away from the time the user first interacted with the brand, the bigger the incentive needs to be in order to get their attention and convince them to complete the customer journey. ALL YOUR TRAFFIC IS NOT THE SAME! Every page on your website encompasses a different value. A user who had an item in their shopping cart and left your website is more valuable than a user who visited your homepage and left. Targeting the latter with remarketing will not be as effective as their willingness to purchase something is lower. There are a number of ways you can segment your audience, the most valuable would be based on their behaviour on your site or their traffic source. Sometimes ads which are created by different brands and aimed at a particular audience are triggered by irrelevant searches due to similar keywords which results in those ads showing up during a search. Due to this, there are users which click on your ad and are less qualified lead traffic, and this further impacts your page conversion rate. With the use of remarketing you will be able to eliminate ‘irrelevant clicks’ which are a matter of concern in SEM. Remarketing has the ability to ‘follow’ the users and is then able to implement the function as brand reinforcement. It can also create an image of your brand that it is everywhere, this further improves your brand visibility and recognition. 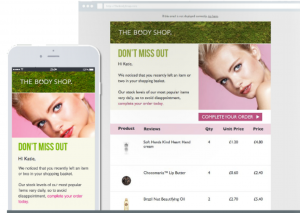 Body Shop goes a step further and emails the user regarding their shopping cart and informs them that they might miss out on it. While being creative, they have also been able to send the message across. It creates a sense of ‘urgency’ and this has proven to be successful for them. A lot of the times users add products to their shopping cart but then question the quality of the product and thus leave the page. 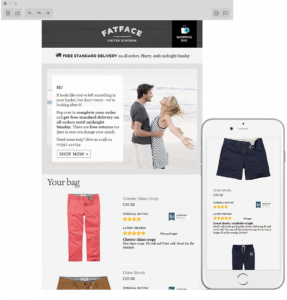 However, Fatface has recognised this underlying cause and sends the users an email with their shopping cart along with reviews for each of the products in the cart. This illustrates the validity of the product and includes the voice of other customers as well. A remarketing ad created by NatureBox, has a call to action and uses colors to attract the attention of users. Using food and making it look realistic is something customers are able to relate to specially when its to do with healthy snacks. It mentions the health aspects which further grab the attention of the users which have previously interacted with the brand. If you think remarketing is a tool that you could benefit from, give us a call today and take your first steps towards boosting your brand.